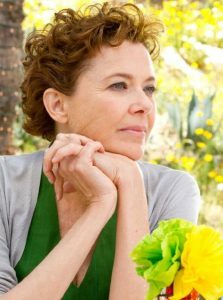 Annette Bening: “I recommend rebellion – it’s healthy. “But I didn’t really. I protected my parents a lot. “One of the great things about being in my forties – so many women I know have said this – is you really do come into your own. “I spent a lot of time trying to please other people and have everybody get along. There are some ways in which that’s a virtue, and some it’s not. “You can’t really get your needs met if you’re constantly gauging what everybody else is going to be most appreciative of. Trying to find a way to do both is what one would hope for. “Say what you think, ask for what you want. “I remember hearing someone say that good acting is more about taking off a mask than putting one on, and in movie acting, certainly that’s true. “With the camera so close, you can see right down into your soul, hopefully.